shock-absorbing TPU and hard, drop-resistant Polycarbonate materials. protector that won’t interfere with touch sensitivity and a hands-free holster for convenience. As we are running an Amazon business, your satisfaction are very important for us. If you have any issue about our products, our team will provide best service to you. Please Contact us if you have any questions or need any help! We will provide the best service to you in 24 hours. 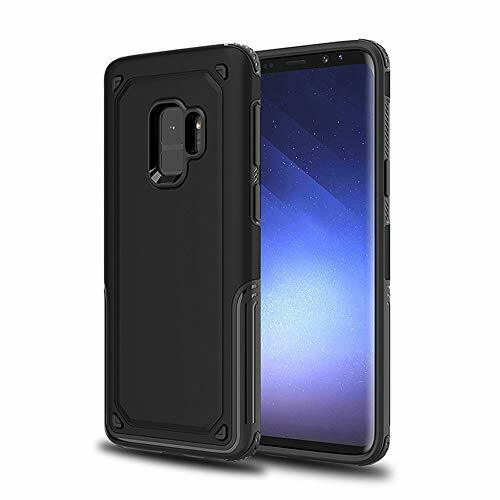 -Design for Samsung Galaxy S9 2018 Version, Not fit any other models. Contents: -1 x Samsung galaxy s9 Case.